Hiking is one of my favorite past times, especially in the summer. It takes you to areas in nature that you would not be able to explore otherwise. 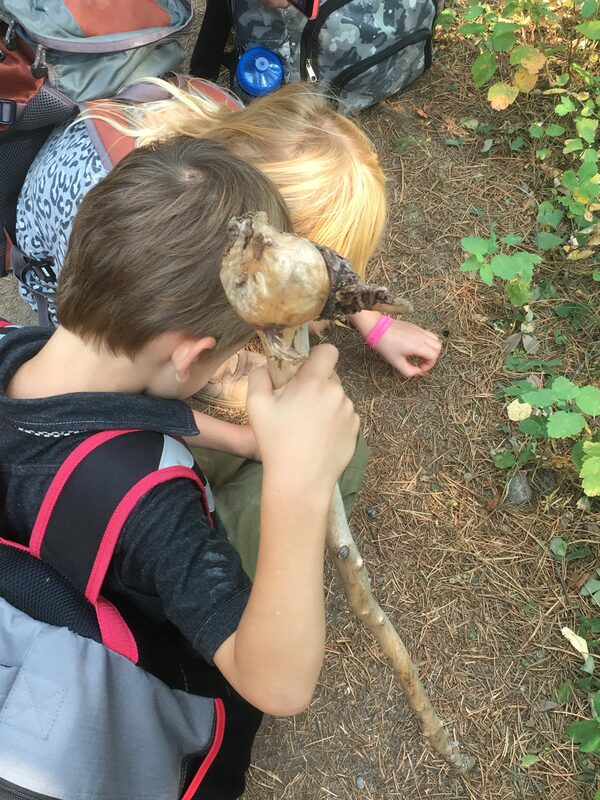 This is one of the many reasons I love sharing this experience with my children, as not only is it important to expose children to these kinds of experiences at a young age, it is another way to nurture their natural curiousity and love of the outdoors. 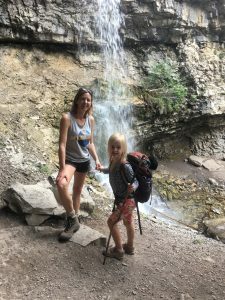 Hiking with children can be a very rewarding and enjoyable experience, if you plan your hike well and ensure you have what is needed than your experience will be successful overall, and the kids will want to go again (Now this does not totally prevent melt downs or life mishaps but it greatly reduces them). Pick a hike that is suitable for the child and their hiking level – so if this is their first hike ever you do not want to take them on a 10 km hike regardless of their age. You also need to consider their age. Children who are young, like 2 or 3 could probably manage a short hike of a kilometer or two with breaks and things to look at along the way. While a child who is 8 might be able to do 5 km. 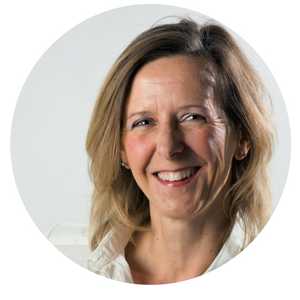 You also want to consider the child, how active they are and how much walking they do in a regular day. Pick a hike that they can finish successfully. Which means they can get to the end without feeling tired or grumpy, with some energy left over, and they would like to go further. This will also help eliminate breakdowns, you having to drag them to the end or a refusal to go on another hike. For example, if you think they can do 5 km, start with 3km so that they feel successful when they are done and work up to 5 km for the next hike. Water – make sure you bring at least a full water bottle per person, more if it’s a hot day. Hydration is key to keeping energy up and fatigue down. It also helps moderate mood. 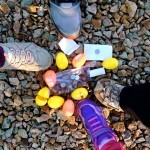 Food – bring kid friendly high energy snacks and lunch (depending on the length of your hike). When children are fed and feeling full they are happy. This also keeps their energy up. Clothing – even if it is a hot sunny day always pack rain coat and rain pants, an extra sweater, long pants and a few extra layers. 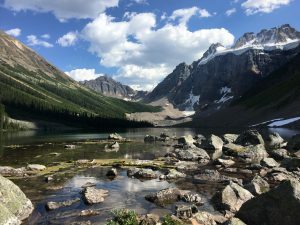 The weather can change quickly, especially if you are hiking in the mountains, and when kids are cold and wet they are not happy, and neither are you! 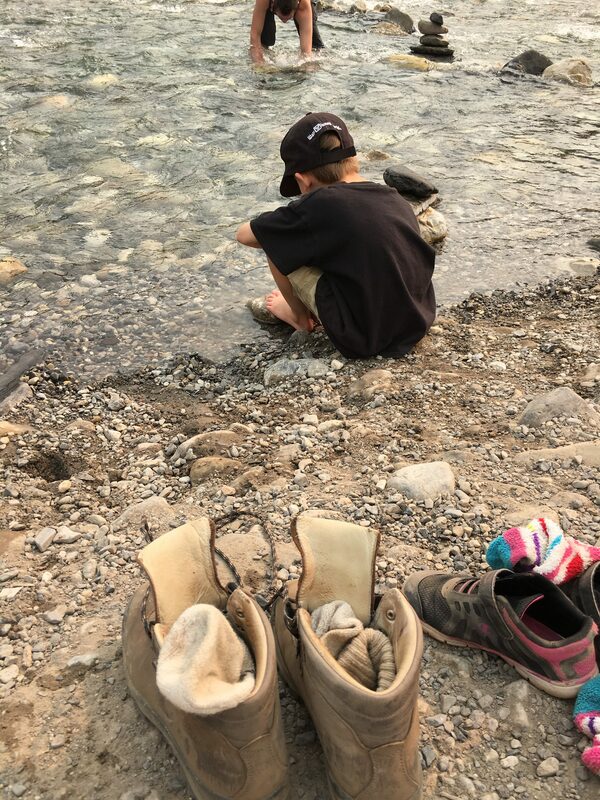 Proper footwear – now you don’t have to run out and buy the kids fancy hiking boots, especially when you are just starting out, but ensure that the kids have good sturdy footwear – so sneakers, not sandals, and socks in their runners (this helps wick away moisture and prevent blisters). You want something with a good tread and closed toes. As you go hiking more often and start doing more challenging or longer trails, then would be a good time to look at a hiking shoe that is more sturdy and supports and protects the ankle. Backpack – it is very important that each child have their own backpack and carry their own stuff. Depending on their age this could be as simple as a backpack and their light jacket inside or their lunch (and you carry the rest). 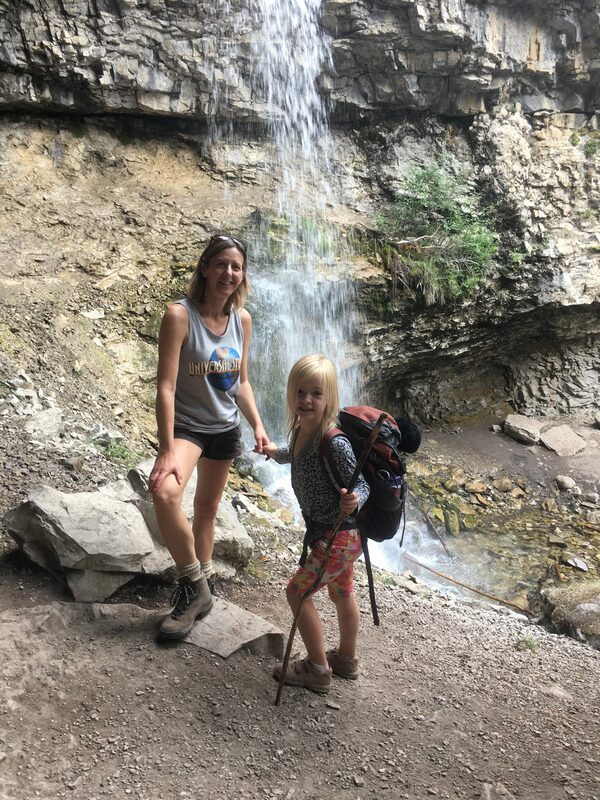 If you start teaching them from the beginning that when you hike you all have your own backpack and carry your own gear, they will just accept that that’s how it works. Then as they grow, they can start carrying more in their packs, until they are carrying all their gear. It is also important that the backpack fits them properly, so snug and close to the back, not the straps hanging loose and the pack dragging at their bum. If their pack is not comfortable that is not going to make for a happy experience. Sunscreen – another element in protecting the skin and avoiding heat exhaustion is using sunscreen. Burning the skin can dehydrate you faster and zap your energy. It is also very uncomfortable and can make anyone grumpy. Use a sunscreen with an SPF of at least 60 for children. You can also use an after sun spray or natural cooling mist to help keep the skin cool. Bug Spray – protect the skin from mosquitoes and more with an effective bug repellent. No one enjoys being eaten alive or feeling red and itchy after bugs! And children seem to be especially yummy for some reason. Spray all uncovered areas prior to going on your hike and reapply as needed. 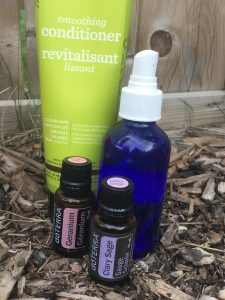 If you’d prefer a natural repellent instead of those chemical mixes try out this DIY recipe using essential oils. First Aid Kit – be prepared for bumps and bruises, small cuts and scrapes by carrying a first aid kit. Include things like bands aids, tea tree essential oil (for cleansing), lavender for soothing, mole skin for preventing blisters, correct x for bumps and bruises, tweezers, safety pins, etc. Set realistic expectations – like mentioned above pick a hike that the kids can complete successfully and enjoy. Don’t push for that big long hike, uphill the first time out. Start early – kids are freshest in the morning (as are you) so take advantage of that and hit the trail early in the day as opposed to the afternoon, even if it is a short hike that you’ll be done by noon. Take regular breaks – even though you may be able to go for longer periods, allow breaks for the kids. Encourage them to take a sip of water on the breaks, and at some, not all, maybe a snack. Now don’t dilly dally and stop every 5 minutes or you’ll never get to the end, but allow them time to stop a moment and let their body rest periodically. Remember they are getting used to it! Allow time to explore – Kids naturally love to explore so allow some time for that on your hike. This could be in the form of an activity you do with them or simply stopping and looking around an area for a few minutes. It is important to be mindful though about staying on the trail as well as staying safe. Teaching them good trail etiquette is part of the experience so set boundaries and guidelines for their exploration. Teach them about plants and flowers – there is a lot along the hiking trail that kids wouldn’t normally see in the city. Learn about a few plants and flowers and show them those along the way. Take a guide book as well for both yourself and the kids to look at if they wish. Tell them what they are by the proper name, encourage them not to pick them (and share with them why – that if you pick them in some instances it kills the plant altogether, and no one else can enjoy them). Only point out 2 or 3 on a hike (unless they ask about a specific one), that way it’s unique and fun for them, plus they may be more apt to remember what you told them. It’s ok if they don’t remember the name when you ask them later, they may the next time. 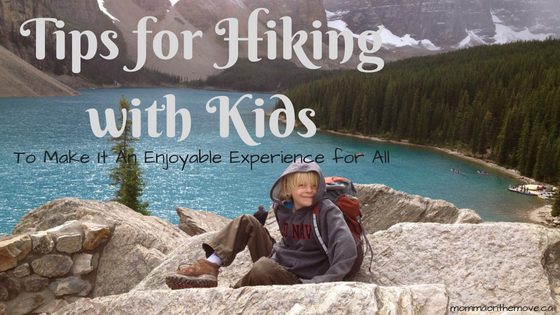 Hiking with kids provides many benefits not only for them but for yourself as well. It’s a great opportunity to enjoy some time technology free and to bond with your child. 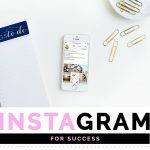 You’ll connect with them in a way that you can’t at home cause there are too many distractions. I’ve had some wonderful conversations with my kids while hiking that I would not have at home. It gets them out in nature. The benefits of being out in nature for children (and adults too) are numerous; such as boosts your energy and immune system, elevates mood, reduces stress and improves physical health. It is also important for us as human beings to simply connect with nature. It nurtures their natural curiosity. Children are born with a natural curiosity to figure out how the world works. Nurturing their curiosity, fosters their desire to learn and helps them to become life long learners. It creates positive memories. I was pleasantly surprised when recently my oldest son rhymed off all the hikes we’ve been on and what the highlights were of each (he’s now 14). He even remembered some things that I had not. We have great pictures, great stories and lots of smiles. And he’ll still go hiking with me, which at almost 15 and finding it challenging to find things to do together, I totally love and appreciate. 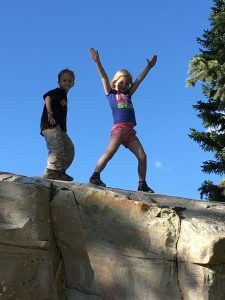 Keeping these tips in mind and some pre-planning will help create a very positive hiking experience for kids, as well as for you! It will create wonderful memories and an activity that you can continue to do together as they get older. I love Summer! Those lazy days with no schedule and nowhere you have to be at any particular time. I love the sunshine and the extended time outdoors. What I don’t love is all those chemicals that we put on our skin to protect ourselves and our family from the sun and bugs. Have you ever wondered if there was a better solution? Anything that we put on our skin gets absorbed into our bloodstream, which in turn enters our entire body. This is through a process called Dermal Absorption which is the transport of a substance (via diffusion) from the outer surface of the skin both into the skin and into the body. So no matter what we apply to our skin, whether they are chemicals or other will become absorbed into and affect our bodies. And think about it, our skin is the largest organ in our body, so when we’re lathering up with that sunscreen or bug repellent we are exposing ourselves to a lot of chemicals we may not want. Essential oils, combined with other natural ingredients, can provide us with the protection we need without being concerned about what chemicals we are absorbing into our bodies (because they’re aren’t any). 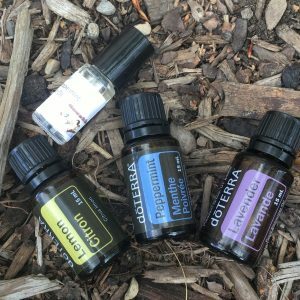 When you use all natural ingredients like essential oils, you can support your body in ways that you need and in ways that benefit and may improve your overall health and well being. Not only can essential oils and other natural ingredients protect your skin in the way you desire (your immediate need like sun protection), but you can also benefit from the other properties of the oil you are using as well, like nourishing the skin or soothing and calming benefits. 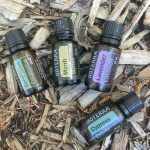 There are various combinations and recipes out there to create natural products that will protect you in the summer, but all have a basic formula of at least one essential oil combined with one or more other natural ingredients to work together for optimal protection. 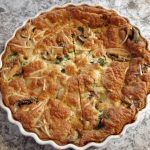 You’ll notice that many of the recipes include lavender and peppermint essential oils, which are must have’s for summer time. Both oils have analgesic (may reduce pain), cooling and soothing properties which are very much needed in summer. Fact: Out of 2000 sunscreens reviewed, more than 75% were found to contain toxic chemicals. Some things to consider when creating your own sunscreen are things like SPF and waterproof ability. SPF stands for Sun Protection Factor scale and is measured by a sunscreen’s ability to prevent UVB rays from damaging the skin. For example, if it takes 20 minutes for your unprotected skin to start turning red, then using a SPF sunscreen theoretically prevents reddening 15 times longer – so about 5 hours. Also the SPF number represents the percentage of protection that particular product provides. For instance, something with an SPF of 4-5 offers 75% protection. There are a number of natural oils that naturally have an SPF factor rating. Coconut oil for instance has a rating of 4-5 SPF and contains antioxidants that help protect the skin from harmful radiation. Shea butter has an SPF of 5-6, Avocado oil SPF of 4-8 and Myrrh essential oil an SPF of 15 – plus ultra healing properties to help take care of your skin. Now using one of these by itself is not enough to provide the sun protection you need but used in combination can create a higher SPF and protection for your skin. 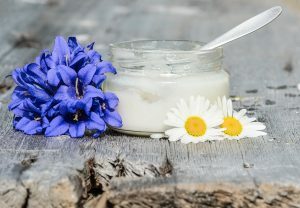 This Natural Sunscreen recipe uses a combination of these natural oils as well as beeswax which gives it waterproof ability. 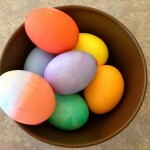 Place all ingredients except zinc oxide and helichrysum essential oil into a glass mixing bowl. Fill saucepan with 2 to 3 inches of water and turn on medium heat. Place glass bowl in saucepan and stir as ingredients melt. Remove from heat and ad the helichrysum essential oil and zinc oxide. Pour into a glass jar and store in a cool place. Apply lotion to skin before sun exposure. Reapply as needed. Fact: Many topical medicated creams for insect bite itching and irritation have side effects causing redness, irritation and swelling. Add lavender and peppermint or purify essential oil to 10 ml rollerbottle. Add fractionated coconut oil to top. Secure the lid to your roller bottle and shake until ingredients combine. Apply as needed. Shield your strands with a heat protectant spray made with Clary Sage and Geranium essential oils. Easy to make, this DIY spray will have your hair feeling full and healthy. Pour half of water into spray bottle. Add fractionated coconut oil, sweet almond oil, conditioner and essential oils into bottle. Add remaining water and shake well. To use, apply one spritz to hair and work it through until hair is lightly coated. Style as normal. Put into glass of water and drink. May need to increase to 2 drops each depending on person. *Note: not all brands of essential oils are safe to ingest. Research the brand you are using before ingesting. Or create an allergy relief rollerbottle. Increase the amount of drops to 4 drops each and top with fractionated coconut oil. Shake and roll on as needed across chest and back of neck. 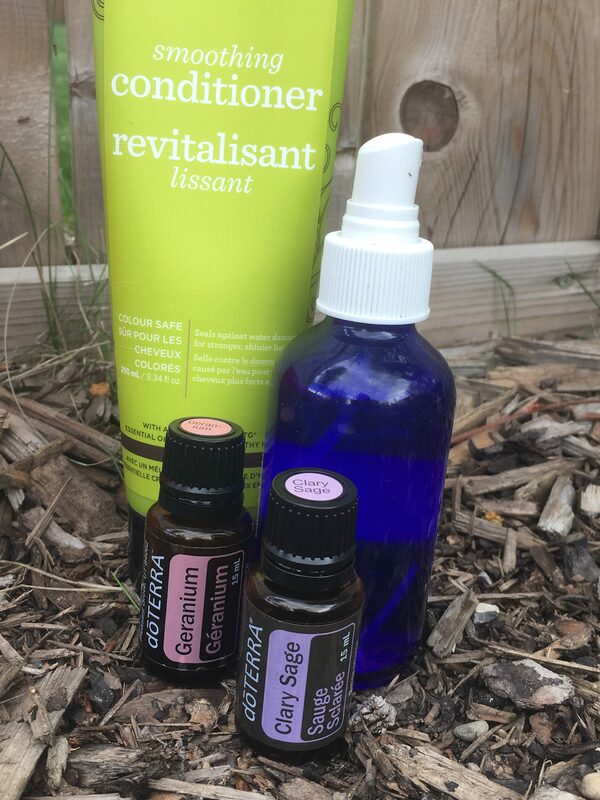 Check out more natural DIY recipes for summer, such as after sun and bug repellent, in part 2 of our Natural Solutions for Summer Fun. Hiking is one of those summer activities that I really love. It’s one of those go anywhere activities that is always an adventure, an exploration of the natural space around you and different every time. 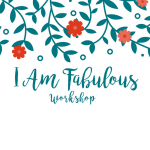 It’s inexpensive and is available to everyone of all ages and all levels. All you really need is a good pair of hiking boots. (Ok I know to hike safely there’s a few more things you should bring – backpack, first aid kit, water, etc. – but in essence your equipment is minimal and it can be an inexpensive but very enjoyable activity). Hiking also provides us with many health benefits from strengthening your core, lowering blood pressure and improving your balance. Not to mention the benefits of simply being out in nature (like leaving that technology behind!) I always feel fantastic after a day of hiking, whether it’s been a 3 km loop on a flat trail or a good hike up the side of a mountain. I always feel more alive and invigorated than when I left. What does not always feel so great though are some of the after effects of hiking. From sore achy muscles (especially if this is my first hike of the season), to possibly a few scrapes and bruises or some insect bites. Even though sometimes that nice all over achy feeling can be a good feeling, I like to avoid the “Oh my God now it hurts to move” the next day. Last summer, quite by accident, I discovered a combination to help reduce these aches and pains and a few other hiking ‘side effects’ while using my essential oils. 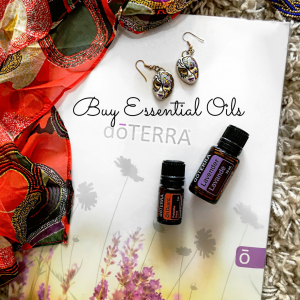 I had been an avid user of essential oils for the past year and was discovering more and more about their benefits and uses. I just naturally started to bring them along on trips as I usually needed an oil for something. What I hadn’t though about yet was how I could use them specifically for hiking. I had just done a hike with the kids around Moraine Lake, which is near Lake Louise. It was only a short hike that day, but we had done a bit of climbing and I was already starting to feel achy. Taking what I knew, I quickly decided to take a drop of Frankincense internally* and apply some Deep Blue to my muscles. (I love Deep Blue, I think it is one of the most amazing blends for aches and pains. I love how it penetrates and gives you that nice cooling feeling). Then I carried on with the evening making supper and sitting around the fire. The next day when I woke up I fully expected to be at least a little bit achy. But to my surprise I wasn’t at all! I was thrilled! and happily put my boots on again for another hike with the kids, this time a 12 km adventure. 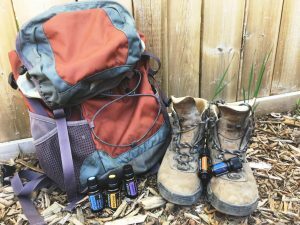 This also made me think about what other essential oils would be beneficial for hiking and enjoying the outdoors. 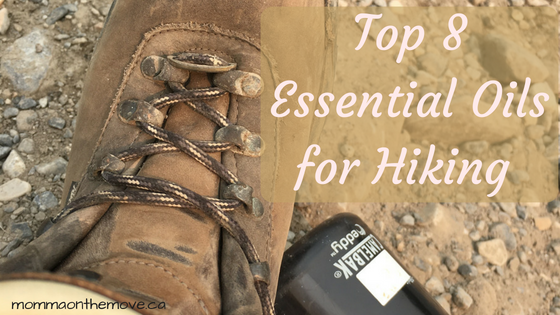 So I explored more and as a result give you the Top 8 Essential Oils for Hiking (really must have’s don’t leave home without them list). Frankincense – supports cellular health and cellular restructure and rebuilding. 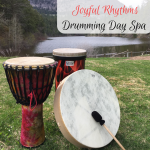 Perfect for supporting healing those muscles after a hike or any workout. Deep Blue – formulated to soothe and cool, this wonderful blend does just that. It reminds me of my Grandpa’s old formula of A5-35, but nicer smelling and all natural! Apply topically where needed. Peppermint – this one does a lot for hikers. 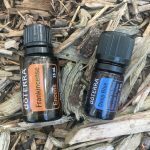 It supports opening up your airways, can soothe aches and pains as well as cools and refreshes (place a drop on the back of the neck) when your feeling hot. It is also a wonderful oil for giving you an energy boost – you know if you need it to get up that last little bit to the top. Eucalyptus – is the oil of wellness, so great all around for hiking to feel well – will also open up your airways. Apply 1-2 drops topically across the chest. Wild Orange – is an uplifting and energizing oil. You probably already feel great cause your outside enjoying the outdoors, but that extra little lift wouldn’t hurt, nor that boost of energy to get to the top! Drop 1-2 drops into your hands, rub them together, cup gently over the nose and mouth and inhale deeply for 30-60 seconds. Cypress – this one is excellent when hiking at higher elevations as it provides circulatory support. Use 1 drop topically across the chest. Lavender – eases sore achy muscles, supports anti inflammatory and is great for reducing itchiness from bug bites! Apply topically where needed. 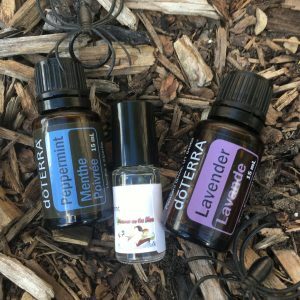 Myrrh – has powerful cleansing properties and when combined with lavender (which is also anti fungal and anti bacterial) in a spray bottle makes an excellent foot spray to use in your hiking boots to prevent foot fungus. **Essential oils can be used 3 ways, aromatically, topically and internally. 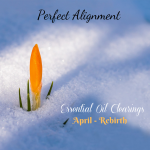 Depending on the intended outcome (and kind of oil) will depend on how best to use it. 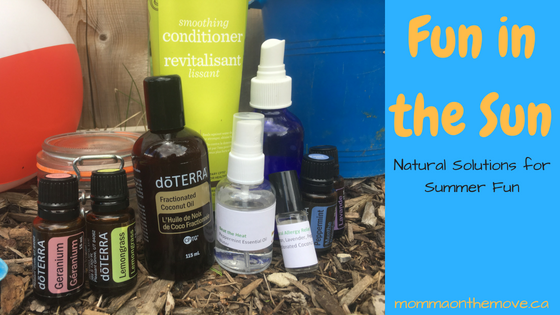 I use these in a combination of ways from preventative to after care. 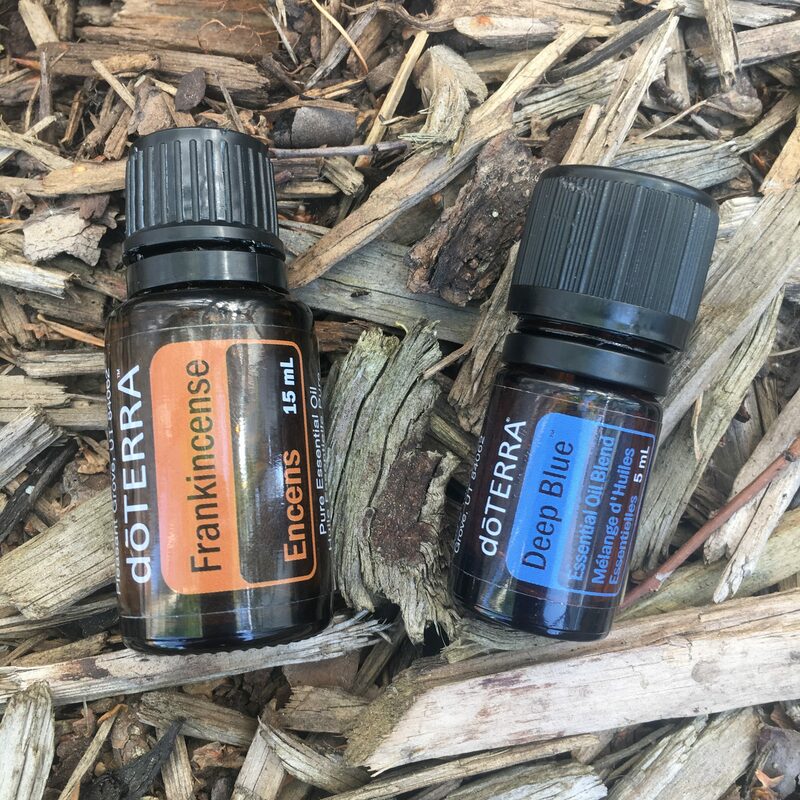 I usually do my frank and deep blue combination after the hike, but often use my peppermint topically across the chest before heading out and I always take a drop of Wild Orange in my hands rub them together and breathe deeply before I start any day. 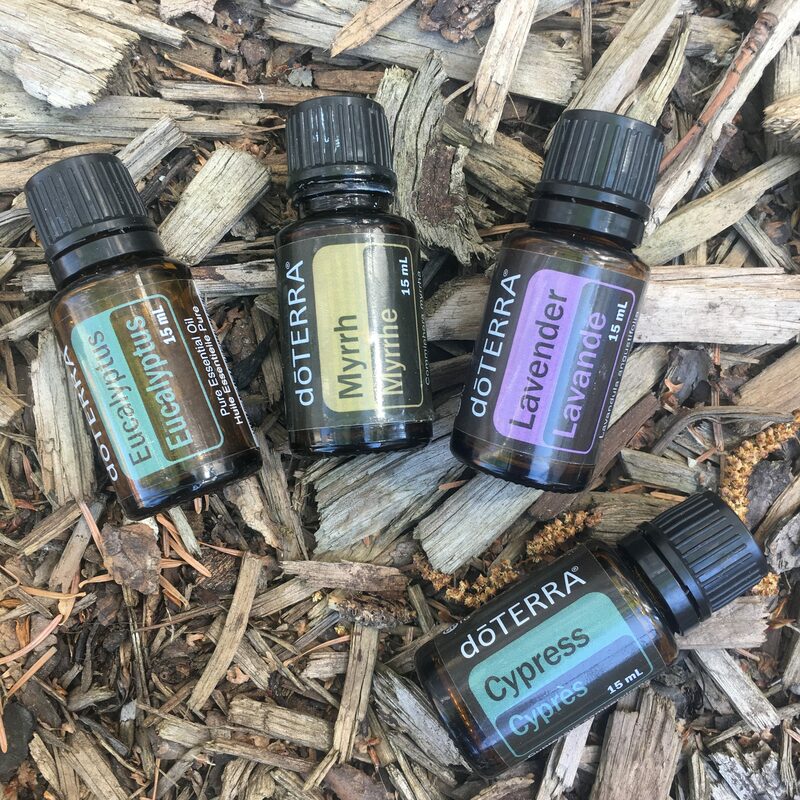 Depending on what kind of hike I am doing I’ll use the cypress topically for the higher elevation hikes and I always spray my boots with the lavender myrrh combination before heading out. 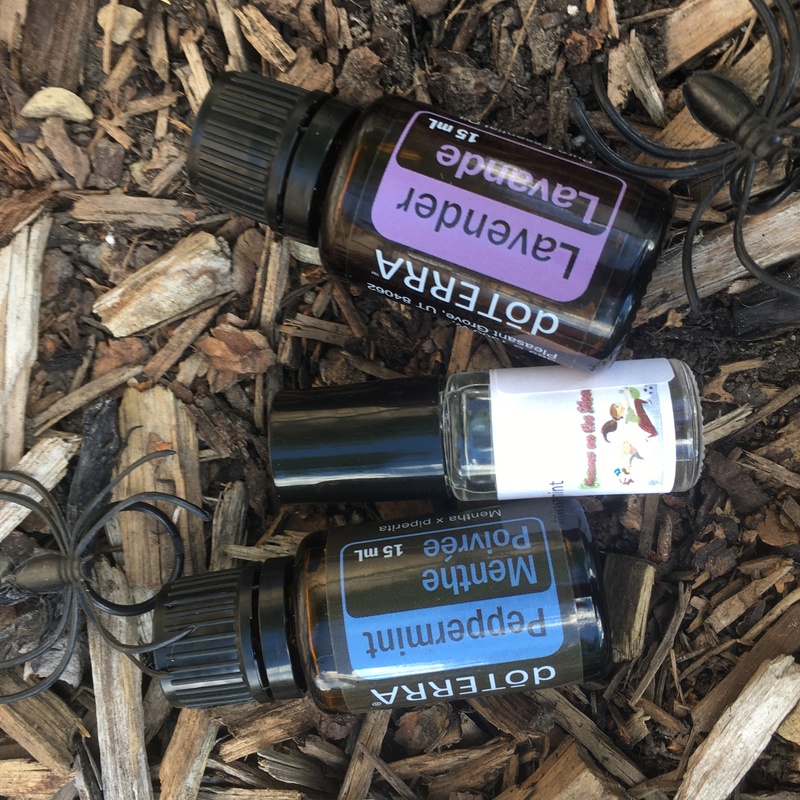 Of course I bring a little ‘mini’ first aid kit of these oils (and a few others) so I have them on hand should the need arise – like Lavender for bug bites and Terra Shield for bug repellent. I pack them in small dram bottles which does not take up much room in my pack and I have been very glad to have them on many occasion. Essential oils are such wonderful things! and can do so many things for us in supporting our health and wellness, both on a physical and emotional level. If you’re interested in learning more about essential oils or would like to give some of these a try on your next hike, contact me and I’d love to help you out. *Note: not all essential oils are safe to ingest. Depending on what oil it is and what brand (as not all essential oils are created equally due to growing practices, extraction of the oil, etc. There are also currently no regulations or guidelines on producing essential oils in Canada) Ensure you research the brand of essential oil you are using to be sure.